The Dr. Jekyll and Mr. Hyde dynamic of Bruce Banner and Hulk was a fan favorite long before the dynamic duo ever hit the silver screen. But longterm popularity in one medium doesn't automatically equate to success in another — in fact, the ups and downs of Hulk's various cinematic appearances over the years perfectly demonstrate how the presentation of a beloved comic book character can make or break a movie's popularity. A particularly interesting spotlight in Hulk's movie history is his first foray into the Marvel Cinematic Universe via Edward Norton's solo outing as the Jade Giant in 2008's The Incredible Hulk. The second MCU film to hit theaters, it never captivated audiences in quite the same way that its immediate predecessor, Iron Man, did. While the wildly popular Tony Stark went on to headline two more solo movies along with the entire Avengers franchise, the Hulk was never given similar treatment. Why did his story end up so different? Why was he left sidelined until Avengers rolled around four years later, only to follow that up with little more than a long series of cameos and supporting roles? Why did we never get to see The Incredible Hulk 2? Let's break it down. Chris Evans has always been Captain America. Chris Hemsworth will always be Thor. Heck, Robert Downey Jr. is Iron Man. 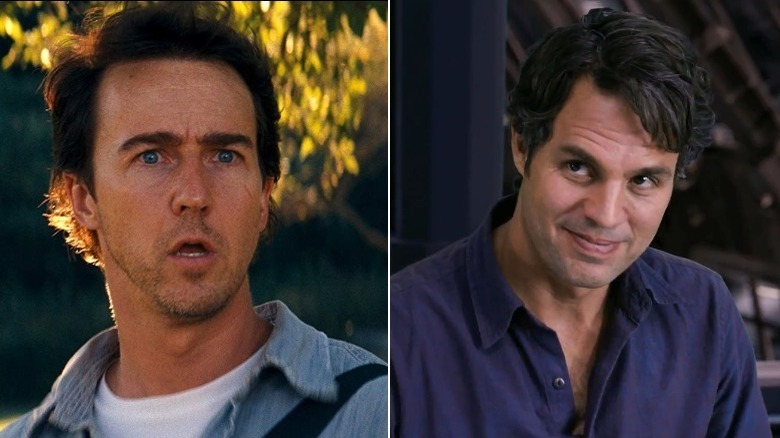 Out of the original Avengers, only one poor soul has had to be recast: Bruce Banner. 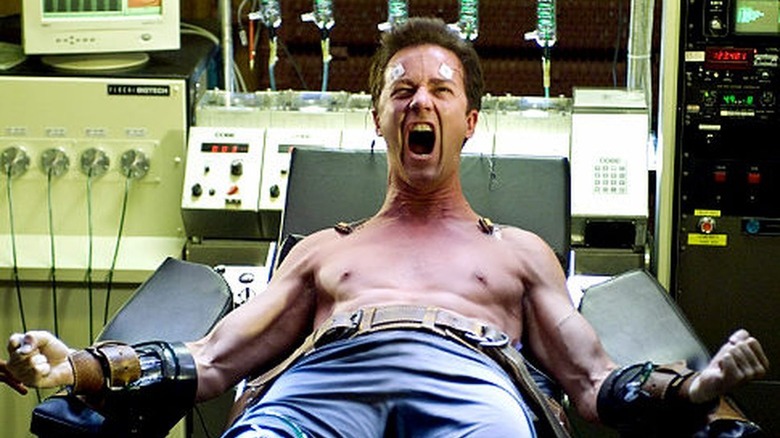 So why was the original actor, Edward Norton, not able to make the cut for Earth's mightiest superheroes? While most of the actors playing Avengers have had a long and prosperous relationship with Marvel Studios, Norton seems to have gotten off on the wrong foot from the beginning. In fact, he doesn't appear to have even been everyone's first choice for the role. When interviewed by the Huffington Post, director Louis Leterrier let it slip that, while he appreciated what Norton brought to the table, it was actually Mark Ruffalo — who would take up the green mantle later on — that had been his first pick. 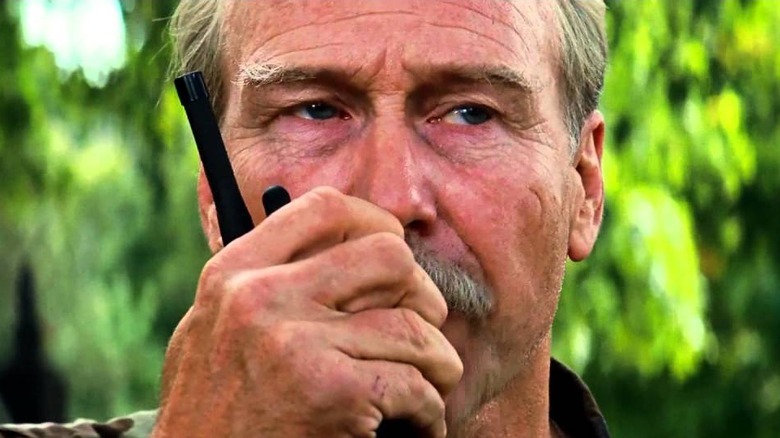 On top of his runner-up status, numerous rumors have risen over the year regarding the belief that Norton may have been rather difficult to work with on the set, could be "very vocal" at times when he disagreed with something, and was overly involved in tampering with the script. While none of these are unheard of qualities for people to exhibit on a film set, it's still pretty clear that they don't stack the deck in your favor. It didn't take long after the film came out for the first hints of discord to begin surfacing. After two years, Marvel boss Kevin Feige made the announcement that Norton would not be brought back to "portray the title role of Bruce Banner in the Avengers." Feige clarified that the decision wasn't a monetary one, but rather one that was "rooted in the need for an actor who embodies the creativity and collaborative spirit of our other talented cast members. The Avengers demands players who thrive working as part of an ensemble…"
Feige's statement didn't come right out and slam Norton, but it made it clear that something clearly had been going on behind closed doors apart from a few friendly disagreements over the script. The Green Machine was still going to be kept in the Avengers crossover and would continue to make appearances in other characters' future films. The removal of Norton from the role shed a little light on why Iron Man, played by the popular Robert Downey Jr., was in the center of a burgeoning franchise while the Hulk languished on the sidelines. 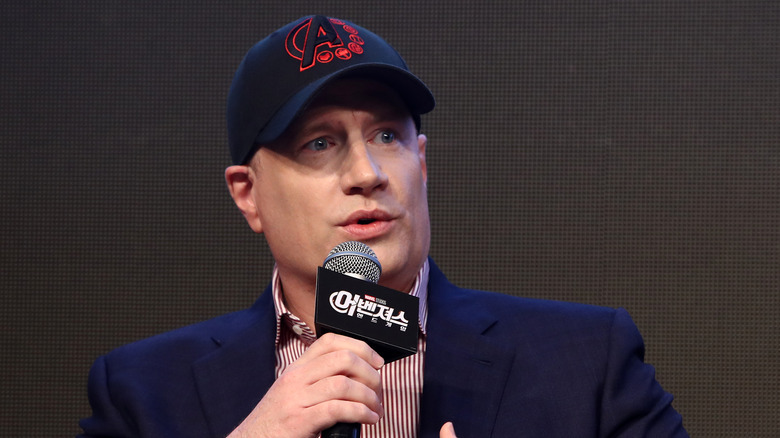 Norton's agent was quick to respond to Feige's statement, replying to the allegations by calling them "offensive" and adding that they were "a purposefully misleading, inappropriate attempt to paint our client in a negative light." The actor himself took to social media, not to attack Marvel, but rather to report to his followers that he had "sincerely hoped [his playing Banner in Avengers] could happen" and adding that the recasting "makes me sad." The responses from the actor and his agent seemed to indicate that, no matter how bad things might have been behind the scenes, up until Feige's announcement, Norton had continued to harbor hopes of reprising his role. As the dust settled, Norton eventually traded his regretful tune for one of indifference, explaining a few years later that he had lost interest in continuing the role due to his desire to act in other movies and genres. However, his initial reaction to being left behind was worth noting. After all, he hasn't been the only actor to part ways with Marvel Studios over the years. While it's been rumored for years that Norton isn't the easiest person to work with, that doesn't mean the blame for his removal deserves to fall squarely on his Hulked-out shoulders. Both Marvel Studios and Disney have created a bit of a track record over the years for dismissing various personnel who haven't fallen in line. For example, Thor: The Dark World's first director, Patty Jenkins, said she didn't think she "could make a great film out of their script." Rather than allowing her to adjust things, the studio parted ways with the director… who went on to head up Wonder Woman while Marvel ended up with a subpar sequel to their Thor franchise. Terrence Howard infamously lost the role of James "Rhodey" Rhodes to Don Cheadle after Iron Man. And of course, there's Guardians of the Galaxy franchise mastermind James Gunn, who was fired for old tweets in 2018. While Disney may have ultimately reinstated Gunn, the whole Norton scenario doesn't seem to have been an anomaly for Marvel Studios. 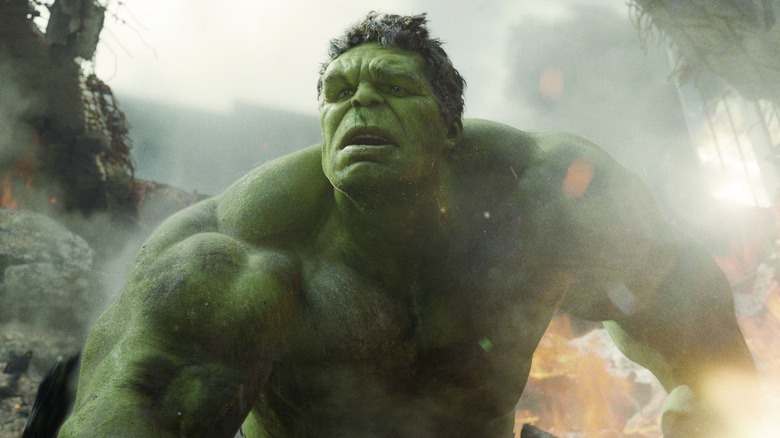 While the actual details of the behind-the-scenes breakdown may never be cleared up, one thing that was crystal clear as the door swung shut on Norton: the Hulk's MCU storyline wasn't going anywhere fast. Rights are a tricky business in Hollywood. In the case of a standalone Hulk sequel, though, they're even more nuanced than ever. While Sony may own the rights to Spider-Man, for example, the rights to Hulk are more or less "split" between Marvel and Universal. But unlike the innovative timesharing agreement between Sony and Marvel for Spidey, the Hulk's situation has been complicated by the less-than-stellar relationship between the studios holding the strings. 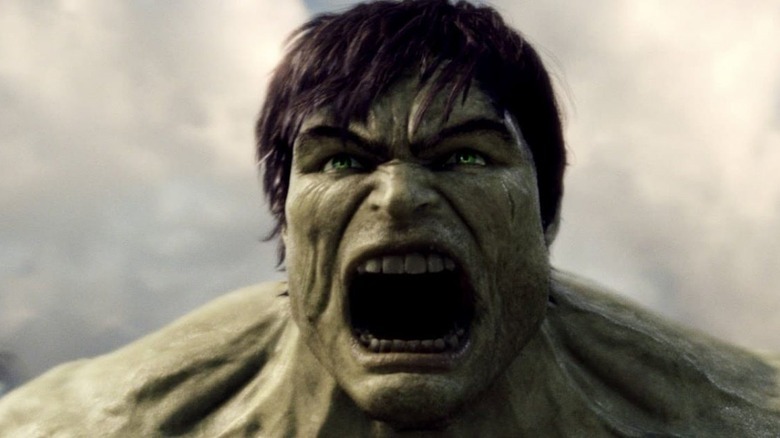 According to Forbes, Marvel regained the rights to the Hulk character in 2005 when Universal neglected to pursue a sequel to Ang Lee's 2003 Hulk. However, while that meant Marvel gained the ability to integrate Hulk into their cinematic universe, Universal retained one critical little piece of the puzzle: the "right of first refusal" over the distribution of any solo Hulk films. In other words, while Marvel can use the Hulk character, if they decide to make a Hulk movie, Universal gets first dibs on distributing the feature. While using other studios to distribute their films is nothing new for Marvel, and the lack of distribution rights alone are not enough of a reason to put the kibosh on a sequel, it's one among several factors that play into the bigger picture. It's easy to look at the quarter of a billion that The Incredible Hulk made in theaters and dismiss money as a possible motivator in the lack of a sequel. But the numbers are actually a bit of an issue. While it's true that the movie came out at a time when Marvel wasn't pumping out billion-dollar projects a couple of times a year, the film still underperformed at the box office, all things considered. During its run, Norton's Hulk brought in $263,427,551 — a respectable sum, to say the least. However, in comparison, Iron Man, which was released just a few months prior — and which cost $10 million less to make — brought in over twice as much in ticket sales worldwide. Doubtless, it eventually recouped enough cash to turn a profit, but while this film may not have been a complete flop, it also suggests that the Hulk just isn't compelling enough on his own to draw a big crowd — a notion reinforced by the film's mediocre 67% Rotten Tomatoes rating. 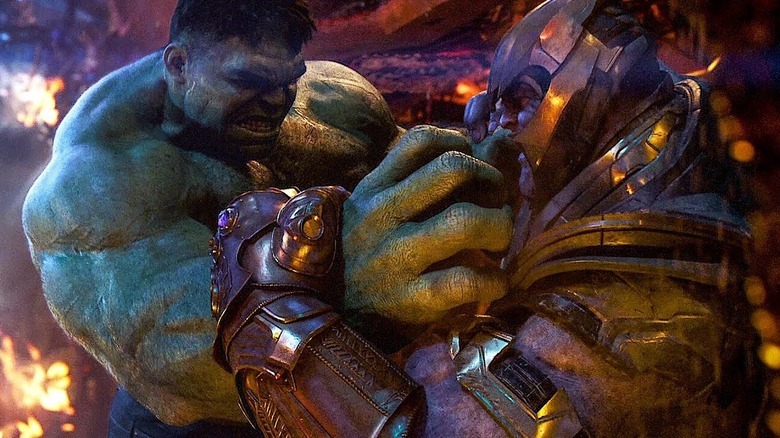 Having Hulk show up for a handful of epic scenes is exactly the kind of integration that makes his presence in films like Avengers and Thor: Ragnarok a perfect addition to the story. But the truth is, it costs a lot to produce a film centered on a completely CGI character — especially when any scene they're in has a pretty good chance of including a menagerie of flying cars, crumbling buildings, and all sorts of other forms of epic destruction. While the larger investment in special effects is part and parcel of bigger crossover releases like Age of Ultron or Infinity War, an entire movie of that nature focused on a single character is a daunting task to expect any studio to take on without very compelling reasons. And when you take into consideration the disappointing box office reception of The Incredible Hulk, it becomes that much easier to believe that the Marvel and Disney execs involved in the decision would hesitate before signing off on such an expensive project. While the rather weighty snowball effect of subpar ticket sales, uninspired reviews, production costs, behind the scenes drama, and distribution rights would already be more than enough to put the final nail in the coffin of any film's sequel, there's one final element that needs to be part of the conversation. In many ways, it was the true Achilles heel of the Hulk's one and only MCU outing: it never fit the tone. 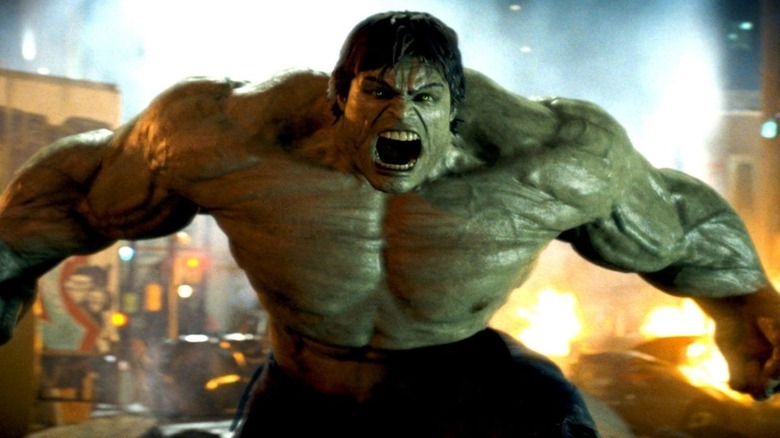 Whether it was the seriousness and introspection that Norton tried to bring to the role or the inherent difficulty of showcasing the Hulk's mindless destruction as the centerpiece of a story, The Incredible Hulk ended up miles away from the effortlessly entertaining tone of most MCU films. Taking place in Phase One of the MCU, Hulk's film was set against characters like the selfishly sarcastic Tony Stark, the lovably loyal Steve Rogers and the hilariously hunky Thor — all of whom were busy setting the stage for the first Avengers. In comparison, Hulk's serious overtones stood out like a big, green sore thumb. From struggling with suicide to the perpetual string of escapes from General "Thunderbolt" Ross and his forces, the film was dark enough to dampen the enthusiasm of the most ardent Marvel fan. As if the sobering tone of the film wasn't enough, there's also the fact that the story started by dropping the audience into a random spot in the Banner/Hulk story arc and then proceeded to go absolutely nowhere. After skipping over the famous gamma radiation exposure incident, the film proceeded to meander awkwardly through Banner's harrowingly unheroic adventures. He finally flashed a little superhero muscle when he subdued Abomination in the streets of Harlem, but when the film ended shortly afterward things once again took a step backward as Banner's takeaway from the experience was simply that he had found a way to come to terms with the Other Guy. While this appeared positive, the fact that it was quickly retconned when Ruffalo's re-distressed Banner was brought back on the scene in Avengers made the whole point of the film, well, pointless. Put simply, Norton's introspective portrayal of Banner set against Marvel's focus on a shorter, more action-heavy film and ended up producing a wandering, confused storyline. The final product felt like a disjointed string of action sequences broken up by a valiant but failed attempt to develop a character with some heroic depth or even just a personality worth investing in. In July of 2017, Mark Ruffalo predicted that "a standalone Hulk movie will never happen." Period. Except what's that, you say? There actually is another Hulk movie? Yes indeed, and it's been confusingly promoted by the same fella who dropped the discouraging information above. 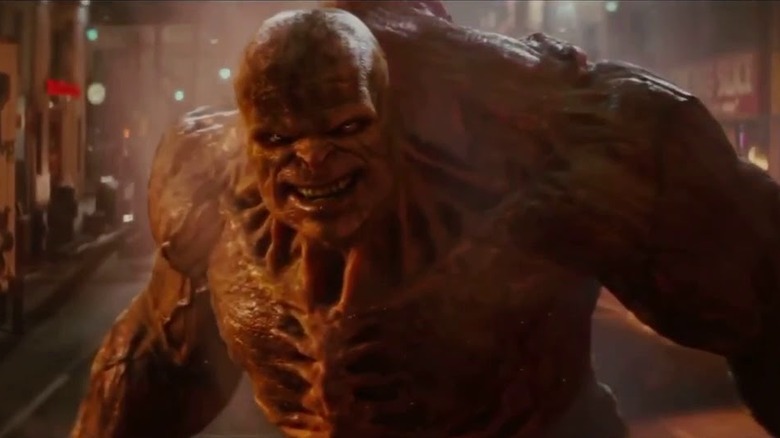 Around the same time that Ruffalo pinned the blame on Universal because "they don't want to make money" off another Hulk movie, the actor also revealed in another interview that he'd sat down with Kevin Feige and had brainstormed what a standalone film for the Jade Giant would look like. Once they had a good idea to work from, they decided to implement it by divvying up the story throughout three separate movies. None of these would be a standalone film, thus sidestepping the issue with Universal. Instead, Hulk would be conspicuously placed in Thor: Ragnarok, Avengers: Infinity War, and Avengers: Endgame, during which his "sequel storyline" could finally be told. 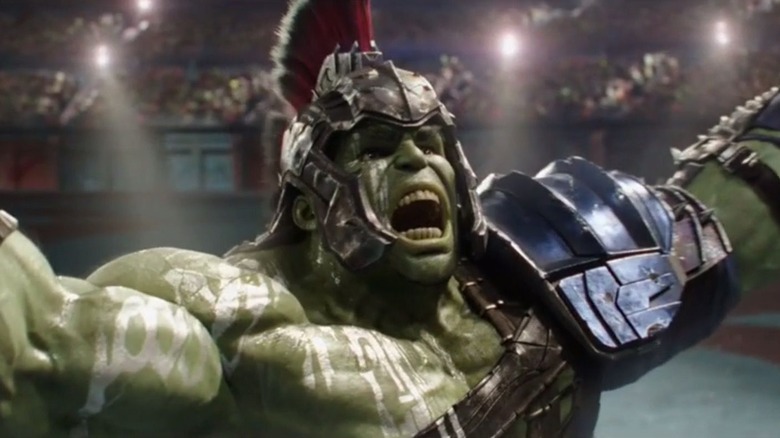 The first part of Hulk's "sequel" was neatly nestled into the center of the third film in the Thor franchise, Thor: Ragnarok. The Taika-Waititi-directed film masterfully rebooted the God of Thunder's storyline. But it also managed to deliver some brutally poetic justice to the long-neglected saga of the Green Goliath by bringing elements of one of Hulk's greatest adventures to the silver screen: Planet Hulk. After being hurled into deep space by Hela early in the film, Thor found himself imprisoned on the garbage planet of Sakaar, where he was forced to fight as a gladiator against the Grandmaster's champion. Of course, that champion ended up being none other than Hulk, Thor's "friend from work." From there, it was revealed that Hulk had come to the planet after Avengers: Age of Ultron, when he'd last been seen using the Quinjet to fly off into space. In the interim, a period of two years, Hulk had become attached to his new life as a gladiator, and it ultimately took Black Widow's voice, played back on the Quinjet, to calm the big guy down enough to let Banner regain the upper hand. From there the group of heroes led the other gladiators out of their captivity and overthrew the Grandmaster, and Hulk helped defeat Hela, closing the curtain on the first part of his three-part act. After Hulking out all over Thor's story, the Green Machine ended up being a non-starter in the third Avengers film. Infinity War was the perfect stage for Hulk to unleash the full potential of his strength as the Avengers and Guardians of the Galaxy did everything in their power to stop Thanos from wiping out half of the life in the universe. However, rather than simply serving as a smash-happy plot device for the climax of the film, co-directors Joe and Anthony Russo masterfully kept Hulk hidden throughout nearly the entire thing. 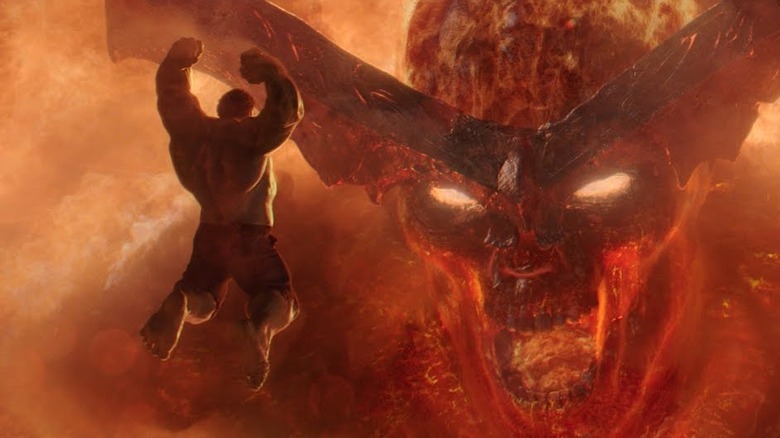 After being put in his place rather quickly by the Mad Titan in the opening sequence, Hulk refused to come out and join in the action for the rest of the film. As Joe Russo clarified afterward, this wasn't necessarily out of fear. Rather, it came from a desire to stop "playing hero to Bruce Banner." In other words, Hulk was tired of being feeling like a pawn that Banner simply used to save the day only to be stuffed into his back pocket again when the dirty work was finished. As the end credits of Infinity War rolled, Hulk remained conspicuously absent, a fact that will absolutely need to be addressed when the third and final act of his "three-story sequel" finishes playing out in Avengers: Endgame.